From the earliest years of the colony of NSW, the large numbers of orphaned or abandoned children on the streets of Sydney resulted in various institutional ‘solutions’. 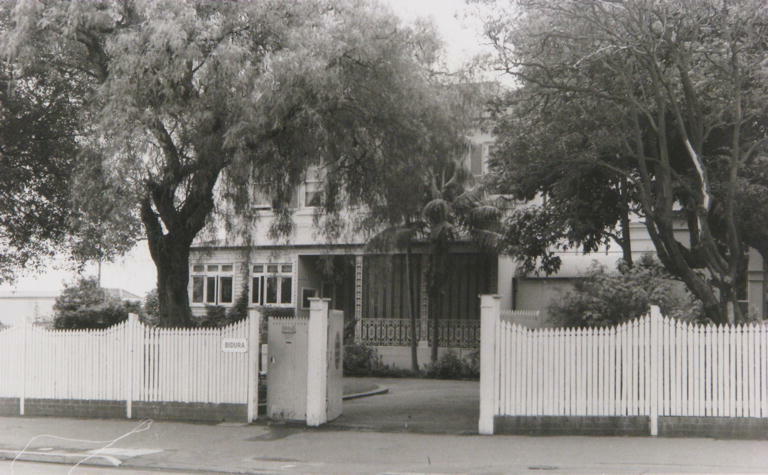 In Glebe, the earliest recorded institutions dated from the 1880s, and some operated well into the twentieth century: Charlton Boys Home closed in 1966, Bidura shelter for girls in 1977 and Royleston home for boys in 1983. 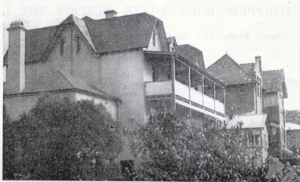 Arden, Avona and Strathmore were a group of early mansions, located in Glebe Point Road along the ridge between Forsyth and Cook Streets and since demolished. Arden (1918-1926), and Avona (dates unknown) were Anglican Rescue Homes. Strathmore operated as the Church of England Home for Girls (1899–1929) and from 1942-1966 as the Charlton Boys Home. It was probably this building which was known as Tress-Manning between approximately 1930 and 1942, and operated as a “Hammond Hotel” for homeless families waiting to secure more permanent housing, before this facility was relocated to Carlingford. The National Museum of Australia held an exhibition called Inside: Life in Children’s Homes and Institutions, displayed from November 2011 to February 2012. The website of the exhibition is available at nma.gov.au/blogs/inside/ It is “based on personal histories of the Forgotten Australians, Former Child Migrants and all those who experienced institutional care as children. It is a voice for those who were inside and a chance for others to understand.” The website features a number of stories by children who experienced institutional life in Glebe. Carmel Durant writes about her experience of Bidura during the Depression (“We were just whipped away; we didn’t know where we were going”) and Garry Shooks writes about visiting day at Royleston. The Glebe Society website entry for Bidura, the building, has also evolved as a blog for former child residents to tell of their experiences and contact others. Related to care homes was the role of ‘baby farming’ in late 19th century Sydney. As children’s institutions generally did not accept babies, and there were no laws governing adoption, women who had illegitimate children often had little choice but to send their children to a ‘baby farmer’, a person who took in babies for payment. As the term implied, the system was notorious for bad treatment and neglect. In one case in Glebe in 1890, Susannah Burke of Darling Street was charged with the murder of a baby in her care, but the case was dismissed for lack of evidence. However, two sensational cases in 1889 and 1892 involving multiple deaths of babies, whether by deliberate murder or culpable neglect, resulted in the Children’s Protection Act 1892 which brought arrangements for orphaned and destitute children under the control of the State.